As I mentioned earlier that I had the major relapse of the disease in 2009. I developed various delusions in addition to my old ones. In this post I will discuss some main delusions of my relapse. Dajjal is an evil figure to appear before Judgment day directly comparable to Antichrist. According to Islamic traditions he will be one eyed. I gave it a thought when I became one eyed for two days. It happened in May 2009 when I was again having delusions. I was playing with my niece when all of a sudden I was struck in one eye with her elbow. I reported to the doctor who applied bandage on one eye. Then I started giving thoughts to this co-incidence. I picked two one eyed people from history and combined it with myself. They were Colonel Claus von Stauffenberg and Moshe Dayan. I thought that we all three were right/good people. 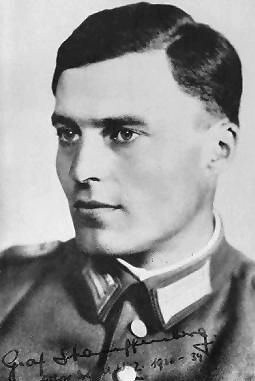 The story of Col Stauffenberg is beautifully told in the Hollywood movie ‘Valkyrie’. He was a German army officer who was one of the leading members of the failed 20 July plot of 1944 to assassinate Adolf Hitler and remove the Nazi Party from power. He lost his one eye in a raid. I thought the plot this way. He was chosen because he was one eyed. If the plot was successful then he would be considered a savior. Then later on he would be labeled as Dajal by Muslims as he was one eyed and there would be another war between Christians and Muslims. 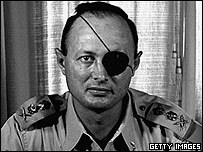 Moshe Dayan was an Israeli military leader and politician who became a fighting symbol to the world of the new State of Israel. He lost his one eye in combat. Many Muslims viewed him as Dajjal. I thought him as a blessing in disguise for Jewish people. His role as a defense minister in Six-Day war of June 1967 contributed to Israeli success. He also played a key role in Yom Kippur War of 1973 in ending it in favorable terms for Israel. I had very complicated delusions with myself being one eyed for two days. I thought myself to be chosen one of some sort. I thought that I was a sign for the Muslims as I was already being tracked as a good figure. In 2005 I had declared Pervez Musharraf as Dajjal/Antichrist mainly due to his name. I had delusions that there are good and bad names. I thought that this incidence was pointing to a specific name that I will not identify due to some family reasons as Dajjal/Antichrist. I will not explain how I came to this conclusion as it is bit complicated. This is again to do with names. In my relapse I tried to extend the names delusion to non-Muslim names. I thought that people whose names end with ..stein are good people. I will mention bad names later. I picked three people. Albert Einstein is known for his theory of relativity and is world famous physicist. He remains one of my favorite scientists. Second was Field Marshal Erich von Manstein who became one of the most prominent commanders of Germany’s World War II armed forces. Third was Eric W Weinstein who is an encyclopedist. He created and maintains MathWorld and Eric Weisstein’s World of Science (ScienceWorld). He currently works for Wolfram Research, Inc.
As I mentioned that in my first psychotic phase in 2005 I visualized that there were Jews among other religions. They were hiding themselves and co-operated with each other. Gradually I shunned the delusion. In my relapse in 2009, I visualized that there were battle/tussle between human beings and angels. The angels represented bad people. I thought that majority of women were angels in disguise. I thought that with time angels became jealous with humans and decided to oppose and worked against them. Moreover my thoughts regarding Jews underwent a radical change. I thought that they have suffered very much in history. I developed sympathy for them. Moshe Dayan became one of my heroes. I became an admirer of Six-Day War of 1967, even though Muslims were defeated completely. This was another main and complicated delusion of my relapse. I do not know how I developed it. Both of my grandfathers participated in World War II, though in lower capacity. I regarded the War as Armageddon. I considered my grandfather as Second Coming of Jesus (PBUH). My maternal grandfather was a tall man. All of a sudden I concluded that he was a Second Coming of Moses (PBUH). I thought that God decided to send all his prophets for second time. This time they came as leaders, scientists, writers and not as preachers. The mechanism was same as I thought for my grandfather. The real people were replaced by the Prophets at some appropriate time in their lifetime. They came mostly in 20th century. I thought that they were sent mainly to their own people. The list kept on growing and changing with time. I speculated the following persons as second coming of prophets. Abraham Lincoln, Vladimir Lenin, Mohandas K Gandhi, Mao Zedong, Field Marshal Ayub Khan, Pervez Hoodbhoy and Mushtaq Ahmad Yusufi. This was again to do with names. I thought of Abraham Lincoln as prophet Abraham (PBUH). I regarded FM Ayub Khan as prophet Ayub[Job] (PBUH). I considered Lenin as Nuh[Noah] (PBUH). I thought of Pervez Hoodbhoy as prophet Hud[Eber] (PBUH) and Mushtaq Ahmed Yusufi as prophet Yusuf[Joseph] (PBUH).